Many of BC's old mining towns are now abandoned ruins, disappearing into the wilderness. These once-thriving towns and the pioneers who built them are remembered in 10 fascinating stories of hard work and heroism. A mine rescue worker sadly recounts a tale of death underground at Coal Creek. Three eccentric old bachelors become the final residents of Phoenix. Legends of Spanish treasure near a Vancouver Island gold-rush town persist to this day. 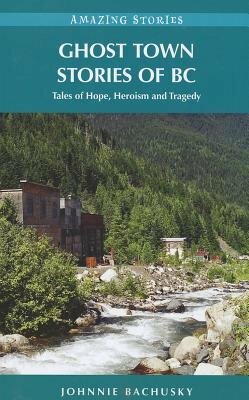 Experience BC's colourful past in these entertaining stories from the province's vanished communities.